Doctor’s Sloppy Handwriting: Are Lives Still At Risk? What Do The Statistics Indicate? 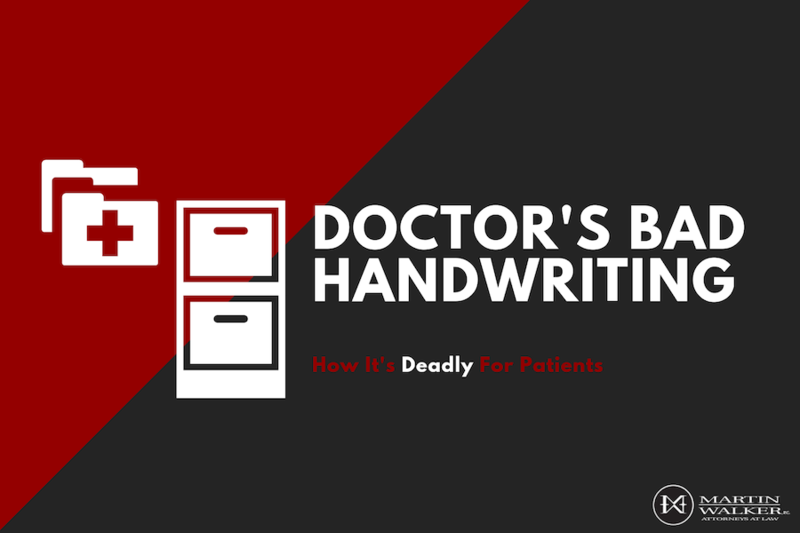 A shocking statistic from the National Academies of Science Institute from 2006 reported that 7,000 people are killed annually from doctor’s sloppy handwriting. The stats also showed that medication mistakes injured more than 1.5 million Americans annually. These statistics show the importance for electronically storing medical notes and records in order to avoid dangerous catastrophes. Back in 2014, the Patient Protection and Affordable Care Act (PPACA) took effect in efforts to reform and improve healthcare nationwide. Did this big shift in data creation improve the issue with doctor’s handwriting causing deaths? WHAT ARE THE CORE ISSUES? Not only this, but the records themselves have been proven to cause errors that negatively affect patients. It’s important to note that even though it’s been several years since the EMR Mandate took effect, not all health care facilities fully utilize these new technological systems. Not only that, but lack of proper interoperability between the various systems is still something that needs to be greatly improved. Hospitals are finding it hard to share patient records with other health care facilities that need them. This is important to ensure patient safety especially when new medications are needing to be administered or prescribed to a patient. If you or someone you know is experiencing an injury or has suffered a loss as a result of a mistake made by a record entry, electronically or not, you may be able to receive compensation. Call our office any time to receive a free consultation. We want to give you the justice you deserve! (903) 526-1600. Copyright 2019 Martin Walker, P.C. Attorneys At Law / Designed By ETV Software, Inc.